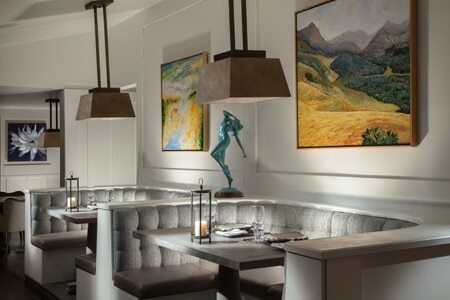 : Executive chef Rochelle Daniel offers an evolving prix-fixe dinner menu at L'Auberge de Sedona’s fine dining restaurant. Seasonal and mainstay dishes are created with locally sourced products, including those found on the property. Guests may find ravioli with aged chèvre as well as Cornish game hen, to be enjoyed in the outdoor setting.